*uchkuch* High Steward Aelos I Griffonknight *uche* Barclay Invasion or sickness that kills the King? If you do find it troublesome to continue the character, I suppose we can form a council of (Nobles and) Orders to rule until Valdemar comes of age? The Dawn and Silvermist can make the economy collapse and bring the lords to their knees. The Dawn and Eventide, through the Astraea Cult, influence a much larger number than their membership numbers say. Silvermists can make deals with the Noldor, either negotiating with Ithilrandir or poking Aeldarian until he comes West. The Legion can make deals with the Snake Cult and sell them a part of Pendor in exchange of overthrowing the nobility. Eventide, Silvermists and Elacrai have the deadliest assassins in the kingdom. If the king's rule is threatened, all orders can also "sell" part of of the kingdom to Veccavia, Mettenheim and Barclay. I just came up with that. Imagine what a week of planning could achieve. The nobilty cannot win against the orders. I'm not boasting, it's a fact. To say anything more would be to give away too much of what's going on. I'll just say, the nobility in the reactive as opposed to passive role has a lot of potential for RP. I am very happy and grateful to be able to announce that Tubby has heard my plea and will be forthwith acting as a co-admin and counsellor to ensure the continued neutrality of the admin-institution. Errm ... all hail Tubby. Apparently I'm here to prevent squirrel-related doom from falling upon us all. I hope I can actually help, and not just get confused and flustered. Congrats Tubby, it's a very good choice! Welcome to the club, beer's on the right, sandwiches on the left. Who will fulfill the role of Voice of Nobility? So, I have spent the past few days really looking at Aftermath and analysing what in it is important to me. Initially it began as a community interaction process between developers and players, however now that I am no longer a developer I have been participating simply because I enjoyed parts of it. The problem was large parts of my role were quite frankly soul destroying, and it is on those elements I have been concentrating, because to remain active I actually have to like what I am doing. It is a hobby, it should be fun, as I hope it is for the rest of you. I will not lie, the events surrounding the latest Throne Room event royally pissed me off. Normally I am extremely calm, but when I do get angry... Now though, I have taken several much needed steps back to get some more perspective on what makes Aftermath what it is, what I like about it, and what I do not. 1. 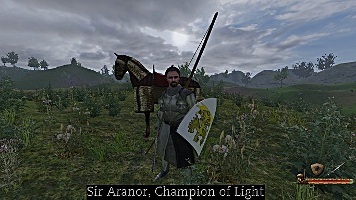 The King; as much as I like being the all powerful ruler of Pendor, in reality his powers are chained because he needs to ensure that the Player actions are important beyond all other considerations, and frankly this is a very draining role to play. Instead, we have developed some mechanics to "play" the King, his reactions depending on three factors. Firstly, the impression of the GMs, secondly the "Gut Feeling" of the king which is determined by me, and finally a random roll which makes his personality rather more unpredictable. 2. Events; I will continue to participate in a limited manner, however I do not wish to do this full time like a host. Some will require more action, like Throne Room events, however through a combination of the new King mechanics and more advanced checks and balances between myself and Iskar as admins, and the GM this should be a far smoother process. The outcomes are spread over more people, so we have a collective responsibility to get it right. I am also pleased to announce that the Voice of the Nobility scheme will continue with Saeros and Hetzau acting in that capacity. We have devised a way to make Voices able to work on a temporary basis, so they can return to their Orders once their roles are over (though they will not have access to Order boards for the duration of their tenure). Likewise, any other players can join up as a Voice later if they want a go at the Nobility. We have the capacity to make permanent Voices too, they will have the longer term goals of the Nobles in mind, but will be asked to leave their Order entirely so as not to be biased. 4. Admin; now that I have Iskar working alongside me, much of my workload has been reduced, and gradually over time I have been offloading some of the responsibilities on my shoulders to other members of the Aftermath team. I think that we have a good system in place that is constantly evolving and improving over time to manage the vast game that is this roleplay. We have roughly 30 active members here now, so sometimes decisions can take time to make, so please be patient. 5. Manifest Destiny; Ever since its inception, this has been one of the most interesting aspects of Aftermath for me, and I intend to continue to invest heavily in its development, adding new rules and mechanics as required. As is the nature of the beast, it is very much a feature in open beta, but I think this is already understood by all here and I am pleased at the reactions it is getting from the players. I am very happy to continue improving it, and I am really pleased at the willingness of others to step up and help running it day to day. 6. Lastly, and this doesn't just apply to me, but to all the people who have essentially become members of staff for Aftermath. By this I mean the Admins, the Game Masters, the Hosts, and the Grandmasters. We are all doing this in our free time in order to ensure that the other players can enjoy something that is (fairly) well organised and fair. However, at the end of the day, we do this ourselves to get a little fun out of it, and do not want to spend hours every day responding to complaints as happened following the Throne Room event. Please remember that we are human, we do make mistakes but we work hard to rectify them quickly, and to learn lessons from them. Ultimately, we are all volunteers, and would like to be treated with a little understanding and courtesy particularly when we are stressed out. You're not the only one who was royally pissed off. I think that everyone was just generally annoyed, and during that process I have come to dislike some of the people playing this role-play. That isn't anything that anybody should be concerned of, as it is more of the 'irritation' part than the 'hate' part, yet that's how it ended up like. I am happy to know that you have decided to lessen your own burden. I think that it should, alongside the changes made, create a much better RPing environment, supplied with healthy imaginary grounds for ideas and plots. am I the only one here utterly confused by everything going on? Perhaps we should just RP as carrots, there cant be any OOC fights with that can there? Aelos finally succumbing to his grief (as I intended him to be when I created him) challenged Aranor because he holds the latter responsible for the death of Sir Roland. Especially after the throne room event where he (think he) saw a Grandmaster lying to Astraea herself and that was the final straw. Now why does he care so much? Because he was trained and mentored by Sir Roland from a young age to the death of the true champion of Astraea. It really just looked like an angry kid shouting at an adult, to be honest. Where was all the drama building up to be released inside him? Very few people got that, sadly. Aranor never lied, he circumvented the question, questioned the source, and said he never said it in his own camp. There was no evidence for the quote in the first place, just some griffons word. I guess I was the only one with all the other posts in mind.. but meh.. IG no one would know the full story anyway. So building it all up wouldn't have made any difference as to your character's reactions. @Aranor.. I knew this would be something you'd protest to, that's why I put (thinks he) between those crucial two words. No one always acts from the legal truth of a matter, but from a perception of it. Why did Aelos immediately blame Aranor? Wouldn't the fanatic red dawn make more sense? So being the last man standing is proof of treason? What if Roland was last man standing? You are not seeing the big picture, but I will not try to explain it any longer. I am more of a believer in Nuffle. Aelos and Aranor i think you should resolve such conflict's IC not OOC, it's just more fun as long hatred is between charcters only. But well that's my oppinion. Edit: It's not a conflict either. STOP DELETING POSTS WHEN I'M ABOUT TO QUOTE THEM!